40sqm of Terram BodPave 40 plastic paving grids. 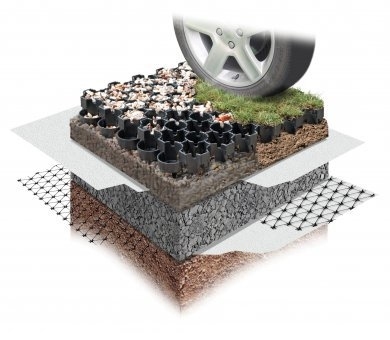 These high quality, great value permeable plastic pavers are designed to be filled with either gravel or grass to provide a free-draining stabilised trafficked surface for cars, bikes and people. 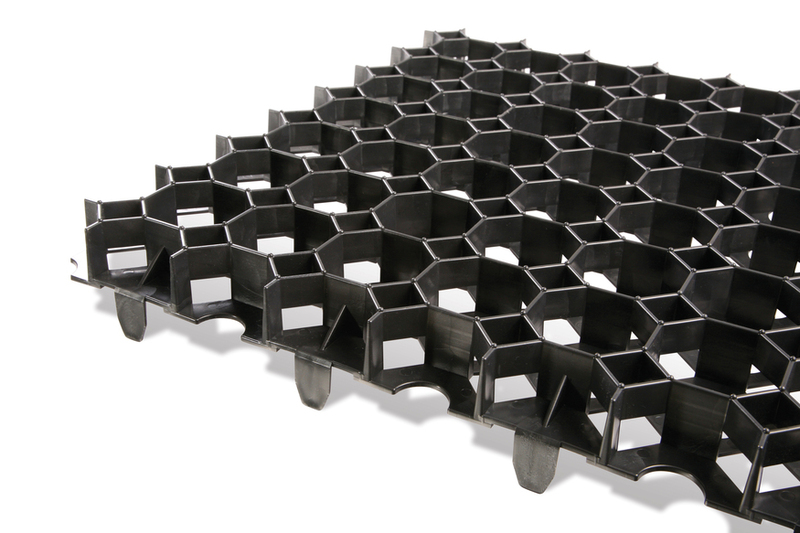 This 40sqm pack is supplied on a pallet and includes 160 black plastic porous plastic interlocking grids (50cm x 50cm x 40mm). 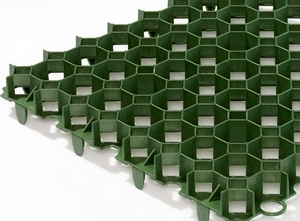 Interlocking TERRAM BodPave 40 grass/gravel pavers are manufactured from recycled plastic for gravel retention and ground stabilisation applications. 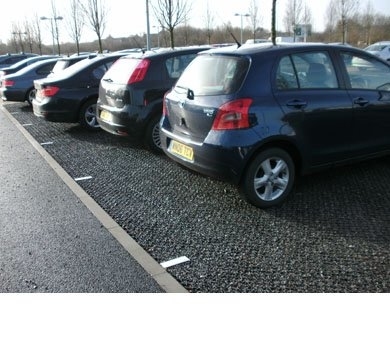 Ideal for private drives to park the cars on, garden paths, gravel car parking bays, lay-bys and cycle areas. 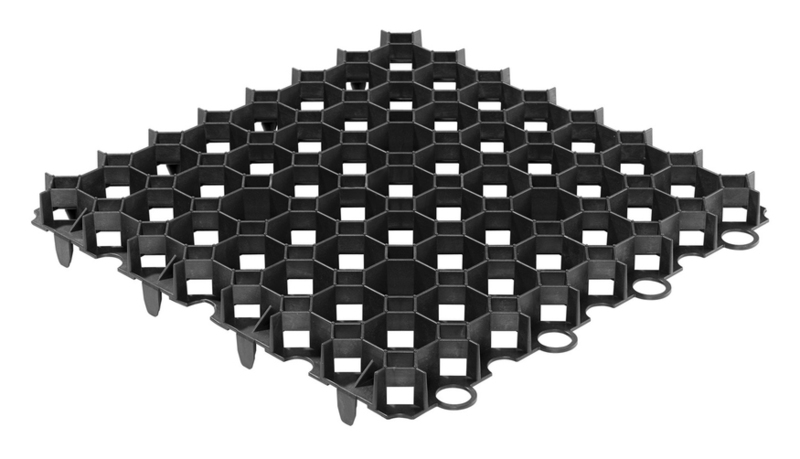 Filled with either angular gravel or grass, the pavers produce a permeable reinforced surface, when installed on a free draining sub-base. 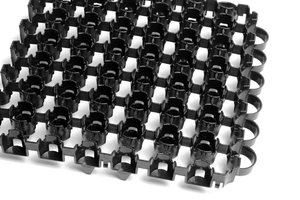 The unique design of the cells, ensure that the gravel fill material is not removed by car wheels and feet. 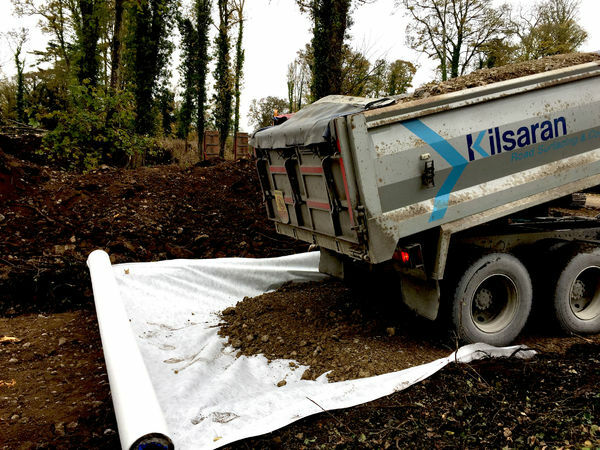 Ultimate One Limited also supply this product in green and various other square metre quantities. Please browse for further details.